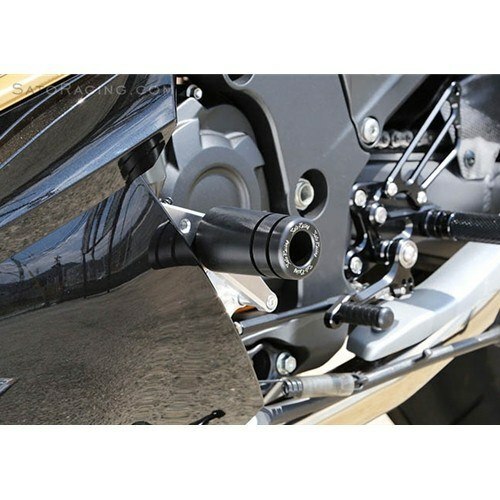 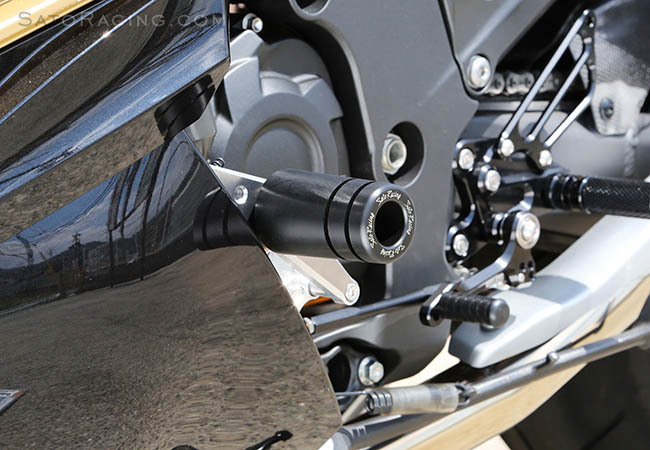 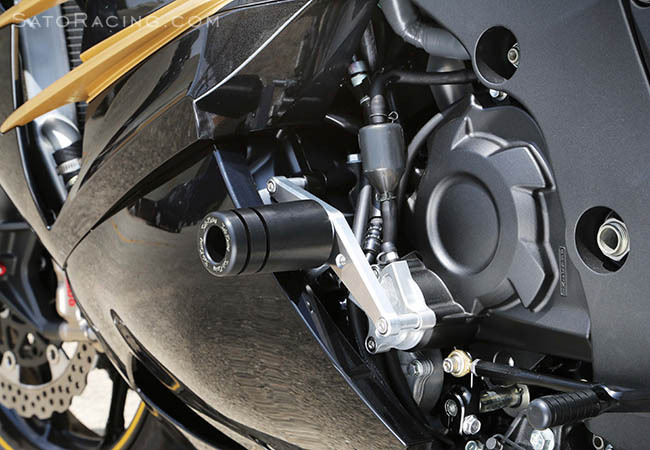 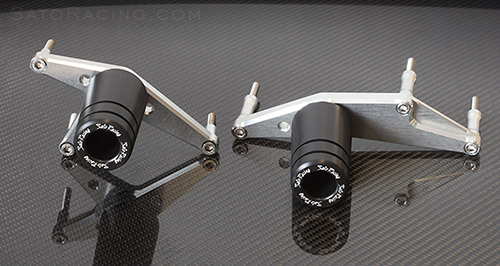 Engine Sliders for the ZX14R 2012-> include support brackets that are precision machined in billet aluminum, with delrin sliders designed to absorb energy and protect the engine and fairing. 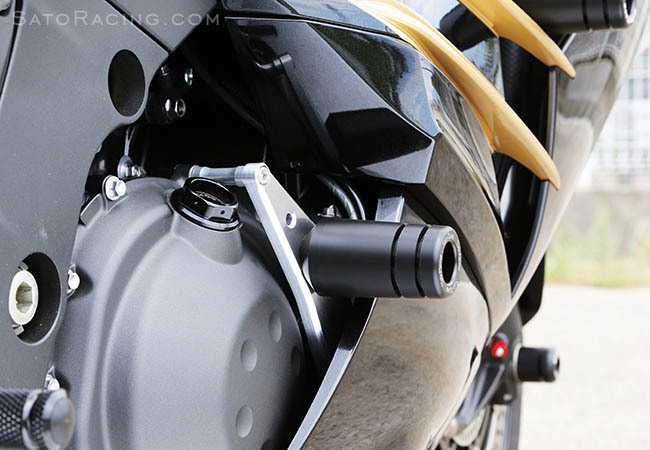 Does not require any fairing modifications to install. 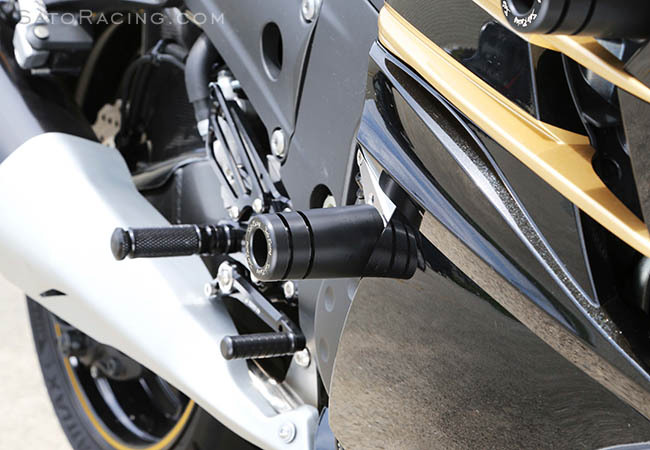 Perfect compliment to Sato Racing frame sliders for the ZX14R, along with slider swingarm spools, bar end weights, and more to protect your investment!